When Macphun’s Aurora 2018 was released for download, I was very enthusiastic about the pictures you could create with the current version. But two features that existed in Aurora 2017 were missing or are only available in a reduced form. These are, on the one hand, luminosity masks with which very detailed masks could be created due to the different brightness values. Another problem was the lack of the possibility to insert one of the original images of the exposure series as a layer. Fortunately, Macphun (or soon Skylum) has added more in this point in the current update (v. 1.1.0). With this option you can “paint” picture elements, which you like better in the original, with the help of the different masking options (brush, gradient,…) into the HDR picture. Step 1: Starting point for all editing of my photos is almost always Lightroom. Here I select the photos in question and make some basic adjustments (lens correction, etc.). 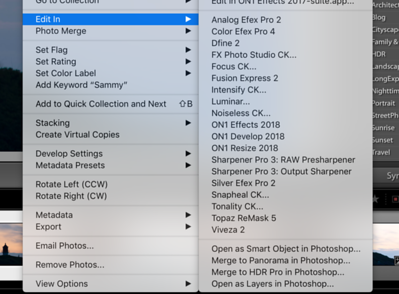 Now open the selected images as layers in Photoshop by using the context menu. Step 2: Aurora does a really good job of aligning the individual images, but with Photoshop it works at least as well. 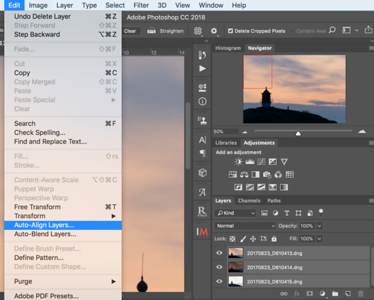 All layers have to be selected first, then the menu “Edit” can be used to select the item “Auto-Align Layers”. Once the layers are aligned, they should be cropped to eliminate blank areas of the image and achieve alignment in Aurora. It is very important to activate the checkbox “Delete cropped pixels” in this step to ensure that all unwanted/transparent pixels are removed after cropping. 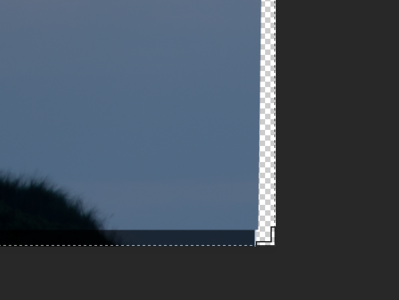 Step 3: Afterwards we get our aligned layers, so that there should be no more displacement in the image. Unfortunately, you can’t use the Aurora plugin in Photoshop to hand over the files to Aurora for further editing. The PlugIn can only be selected if a single layer is selected. But Photoshop can also help here. 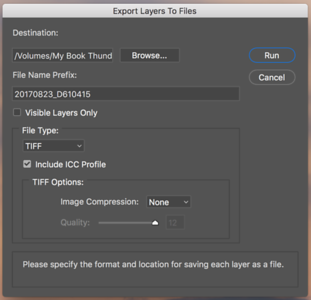 In the menu “File -> Export” you have the option to save all layers as files. To give Aurora the most possible information/dynamic range to chew on, TIFF (without compression) should be selected as file format. Now the files can be processed in Aurora 2018 and you can freely choose from the initial brackets for further processing. Conclusion: It’s nice that Macphun has added an update including this function so quickly. I’m not sure how often this option is needed by the users, but for me, it was very helpful from time to time to design a certain image area according to my wishes. But what is also noticeable is that you can fix a lot of things in the post-processing, but I wouldn’t have this effort if I had taken more time to take the photos, or if I had worked more carefully. However, this workflow is well suited for “hands-free” exposure sequences. If you have any questions or maybe you know a way to solve the problem more easily, please feel free to contact me via the comment function. Thank you for visiting my website! Hi, my name is Andreas Helbig, I am an amateur photographer with interests in HDR photography and post-processing. I hope you like the content on my site and you have found what you were looking for. Don't hesitate to leave a comment or questions/suggestions in the comments box below or here -> Contact.